Aston Martin cars — sleek, outrageously styled speed machines — have been turning heads around the world for the last 104 years. James Bond drove one. Legendary race-car drivers Jim Clark, Carroll Shelby and Sir Stirling Moss were big fans. A robot turns into one in the new “Transformers” movie. So when the British auto manufacturer gave the public a peek at their first foray into real estate development — the 66-story Aston Martin Residences luxury condo tower in downtown Miami — the unveiling was a fittingly over-the-top affair. The Aston Martin Residences sales center at 300 Biscayne Boulevard Way in downtown Miami opened its doors on Thursday May 22. 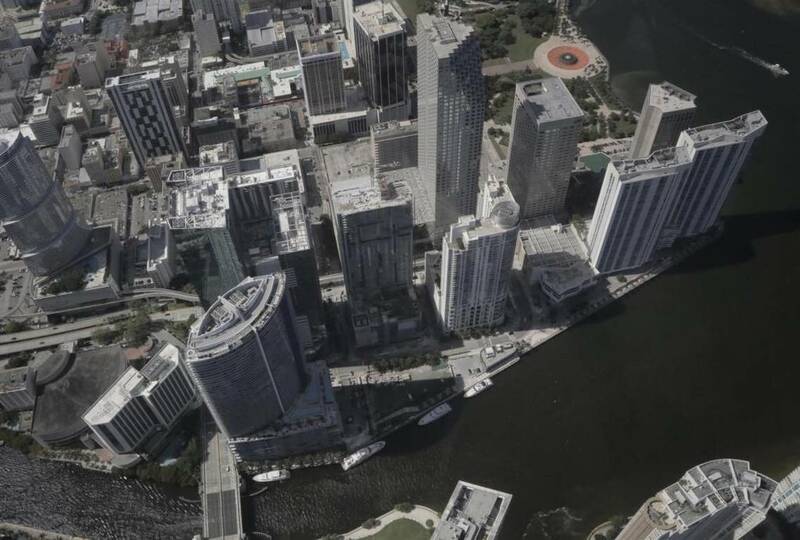 The site of the Aston Martin Residences tower at 300 Biscayne Boulevard Way as seen from the air. A triangular lot located on the mouth of the Miami River, the site is partially shaded in this photo. Its ‘s located on the lower center of the photo and three boats can be seen docked by the property to the right of the Epic Hotel. Aston Martin team is confident. 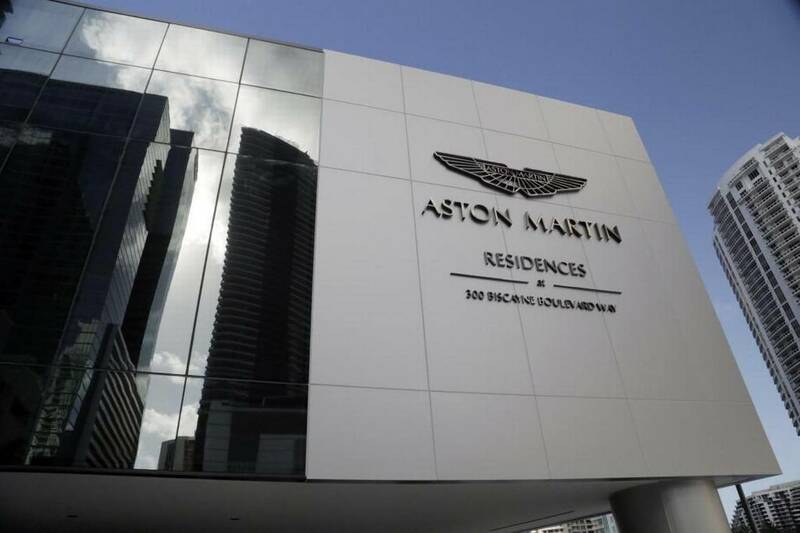 Unlike the Porsche Design Tower in Sunny Isles Beach, which has earned global attention for its elevator that allows residents to park their cars inside their condos, the Aston Martin Residences will take a more subtle, less gimmicky approach to incorporating the brand into the building’s common areas and amenities. 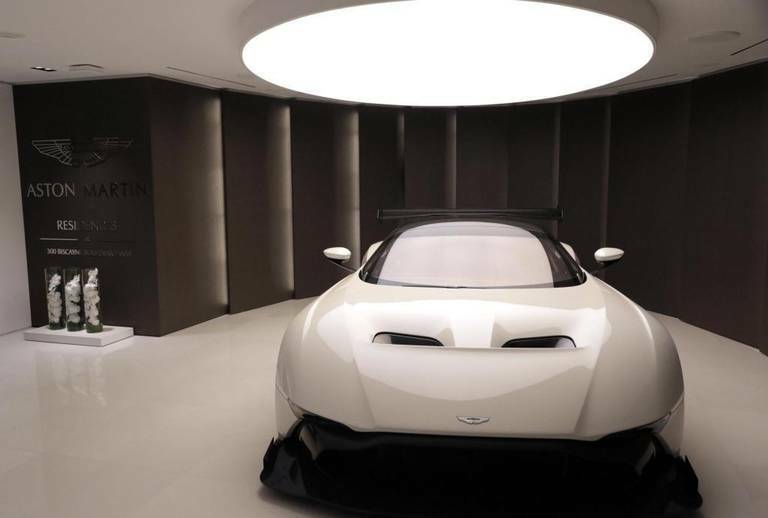 A $2.3 million Aston Martin Vulcan — one of only 24 in existence — greets guests at the three-story Austin Martin Residences sales senter in downtown Miami. 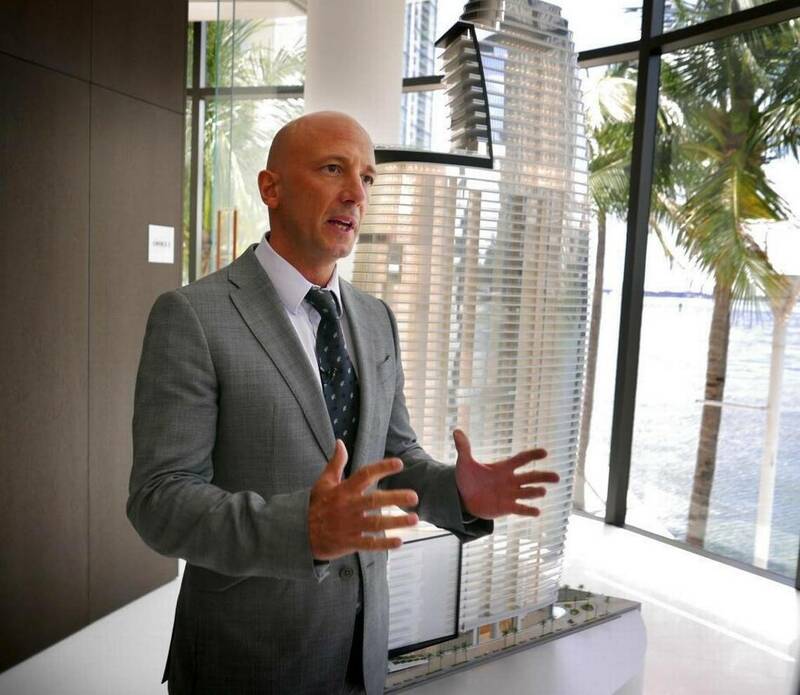 German Coto, who owns the Miami-based real estate firm G&G Business Developments with his mother Gloria, speaks to guests during the opening of the sales center for the 66-story Aston Martin Residences luxury condo tower. 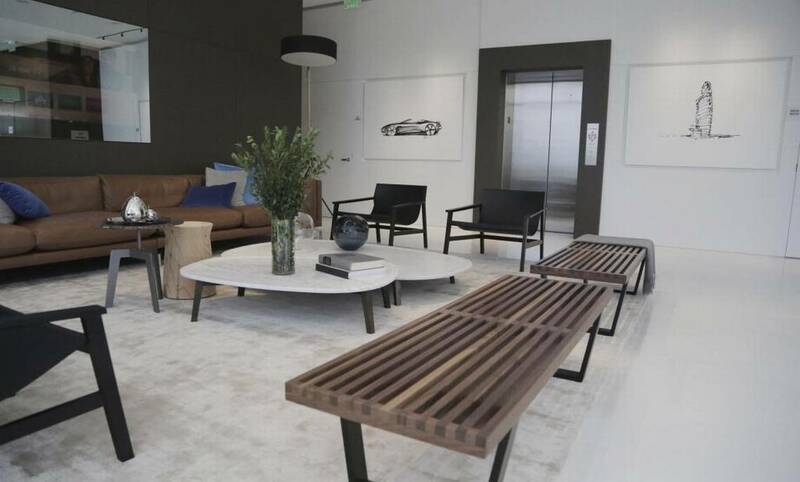 A living area inside the Aston Martin Residences sales center at 300 Biscayne Boulevard Way.